That time has come again for a good old catch up time, a cup of tea and a ginger biscuit or two - dunking optional. Here's what I've been buying, trying, loving and loathing lately in the world of beauty. 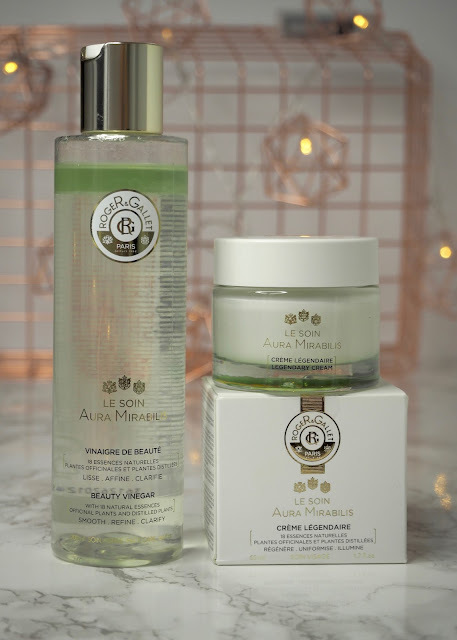 Roger & Gallet have launched a skincare range called Aura Mirabilis which relates back to ancient natural remedies made with medicinal plants to fight off illness. I've been trying out the Legendary Cream and also the Beauty Vinegar - yep, that's right, vinegar! I'd not heard of a beauty vinegar before and didn't really know what to expect. The product looks like a toner or maybe a micellar water, and it's bio-phase with an oil layer on top. It's actually a beauty essence which is designed to purify and refresh skin after cleansing, so you use it as you would a toner. The good news is that whilst the product contains fruit vinegars, it doesn't smell like vinegar at all, so don't be put off! The Legendary Cream is a beautifully scented, light textured moisturised which is designed to hydrate, soothe and illuminate the skin whilst protecting against the signs of ageing. There's also a mask and serum which complete the range available at Marks and Spencer. 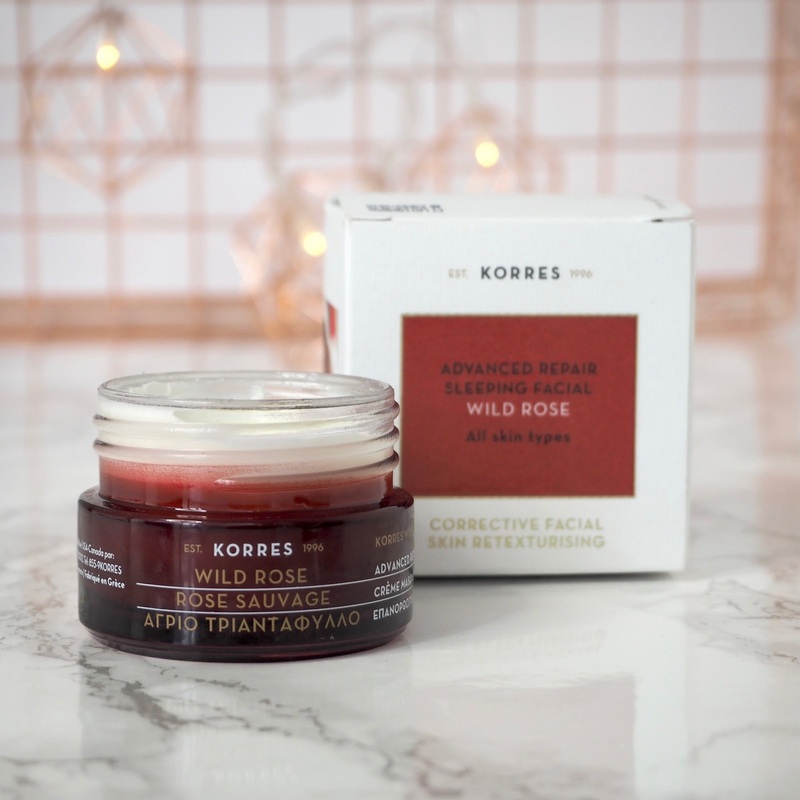 Korres sent me this great new night cream with the idea of trying it out for just one night and seeing what kind of difference it made to my skin. The only trouble was that I had already been using another really similar product from another brand (Formula Absolute Ultimate Sleep Cream), so it was hard for me to tell any difference in my skin's appearance after just one night. Having now used this for a bit longer I can tell that my skin is reacting in the same way and keeping up the same level of radiance, hydration and smoothness, so I think it's safe to say I'd rate both of these as very effective, as well as very similar to each other. I'd say go for Korres if you particularly like rose scents, or the Marks and Spencer version if you'd rather save a little money - the Korres product is £26 for 40ml and M&S is £22 for 50ml. Cold weather of course means dry and dehydrated skin for most of us, so as well as changing up facial skincare, body products can get an upgrade to winter mode too. 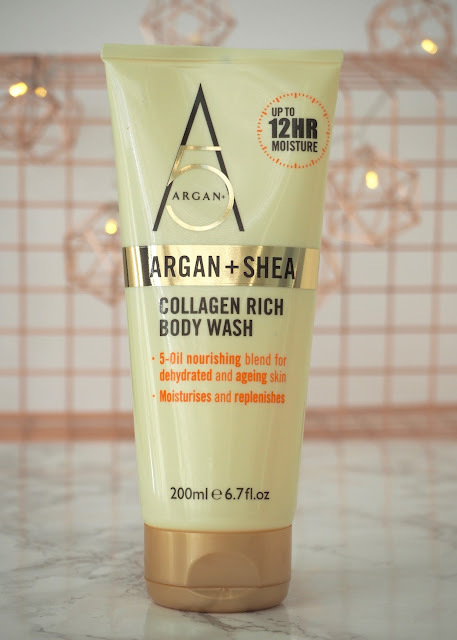 This body wash from Argan+ contains shea, collagen and a blend of oils to keep dehydrated skin moisturised and nourished. It smells great, feels creamy and comforting on the skin and I feel like my skin's getting more than just a regular cleanse as this also helps to hydrate. After using the Elvive Extraordinary Clay range for a while, I thought it was time to mix things up for my hair for a bit by trying something else. The Fibrology Air range caught my eye because the conditioner is clear, and I was also interested in seeing if the products could give my hair more volume. Although I must say using a clear conditioner seemed all kinds of wrong (and many a time I thought I'd picked up the shampoo bottle again by mistake!) it seemed just as moisturising and powerful at detangling and smoothing as I would usually expect. 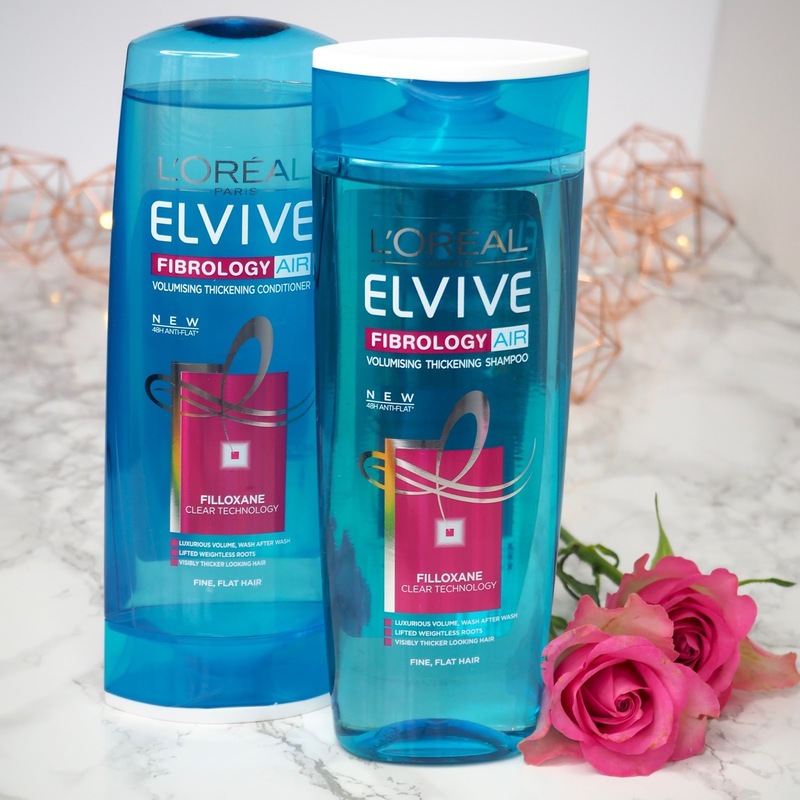 I didn't feel like I got lots of volume from the shampoo, although my roots did feel noticeably lighter as in less weighed down and slightly lifted. My roots are mega flat left to their own devices, so I was quite pleasantly surprised by this, but in general it didn't really change the appearance of my hair. I'd happily use these again, but will probably revert back to Extraordinary Clay. I've been using The Wet Brush for most of this year and have been really happy with it, so when its bigger brother Wet Brush Pro arrived, I was eager to give it a go. 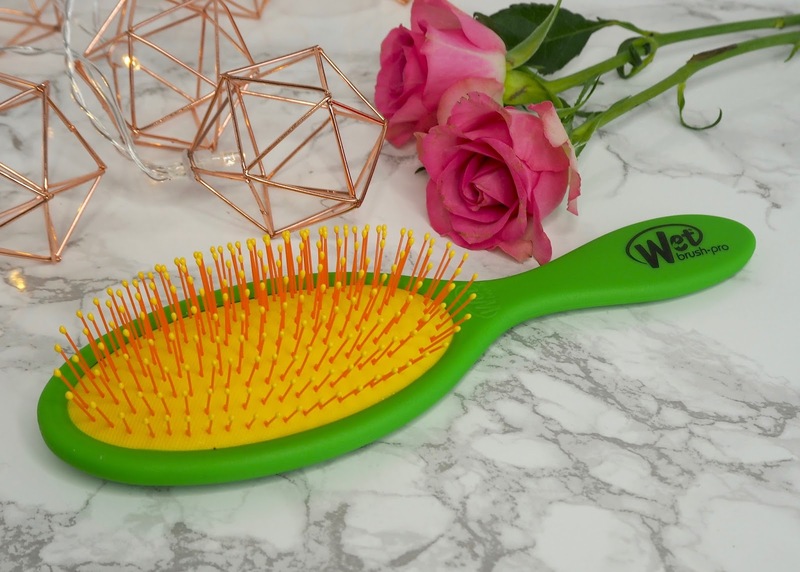 As with the smaller Wet Brush, this is the ideal tool for detangling and smoothing, especially for longer hair prone to knotting like mine. The larger version obviously gets the job done a bit faster and it's slightly easier to hold and use, so I do now prefer the Pro over the original. I love that I now have one for my dressing table and one for travel (I was going to say 'gym bag' for a minute there, but who do I think I'm kidding?!). Onto some new anti-ageing daytime skincare I've been trying - these colourful syringe type tubes are part of a customisable skincare system. The Bio-Extracts range begins with a baseline moisturiser which you can then modify with booster shots of extra ingredients depending on your skin concerns. I've been trying out the face cream for normal skin and alternating with adding a drop or two of the lifting boost and anti-wrinkle boost. I really like this idea as you can change up which one you add or how much depending on how your skin is looking or behaving, or perhaps due to the seasons, time of the month and all sorts as there are lots of different boosters you can choose to add. 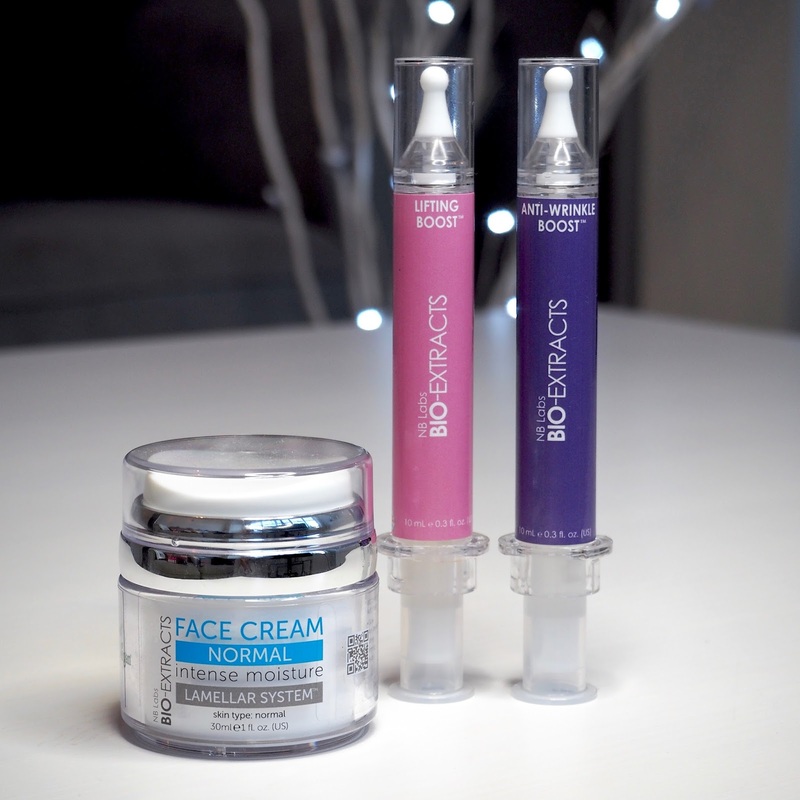 I've tried the lifting and anti-age boosts which come as part of a set at QVC, but other boosts available include one for hydrating, one for glow and even ones for reducing redness. The moisturiser is also available in light, normal and rich - personally the light version has not been quite right for my dehydrated skin, so I would probably need to step it up to the rich formula instead. With winter weather already here I've been trying to pre-empt the usual dry skin symptoms I get by stepping up my pampering game and making time for face masks. 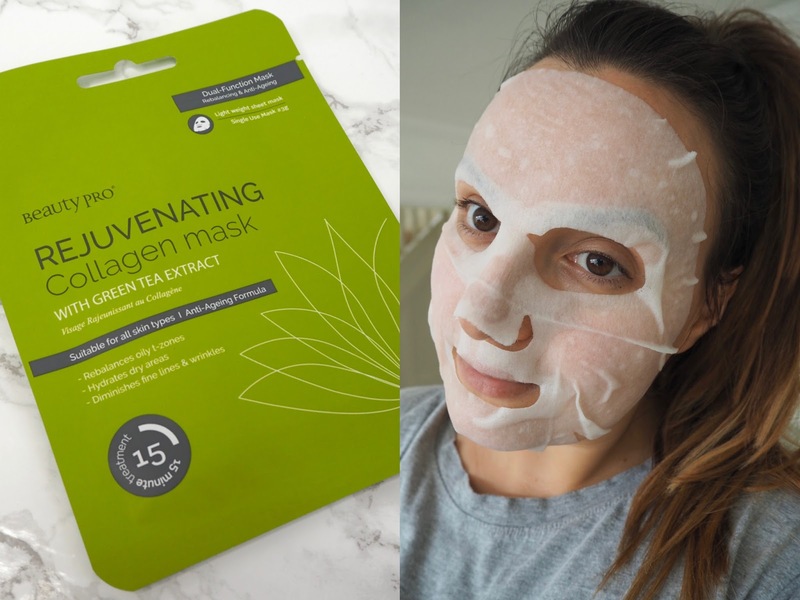 I'm particularly enjoying sheet masks at the moment as they're so quick, easy and convenient. 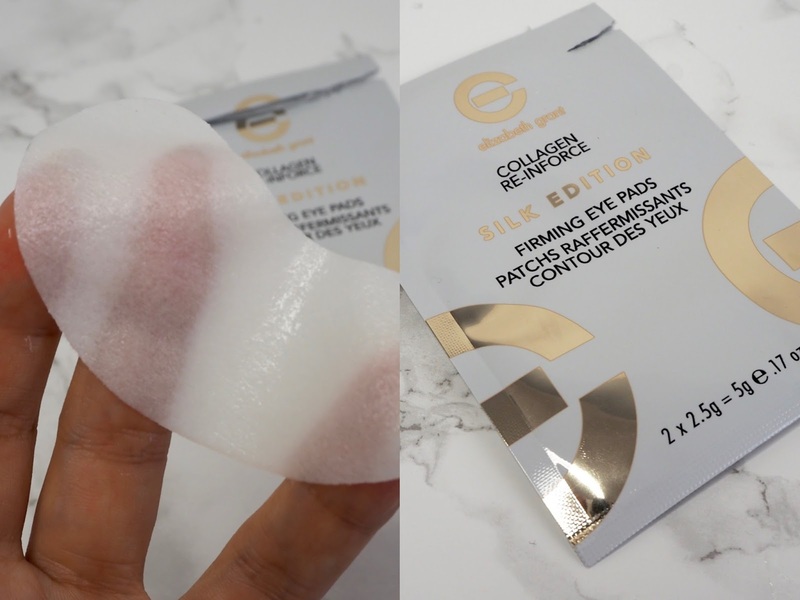 This sheet mask and eye pads from the ranges at Ideal World both contain collagen and other skin boosting ingredients to re-hydrate and plump the skin. And yes, I know I look super sinister in a sheet mask! Hands up if you get tired, achey eyes from looking at a screen all day? I work in an office where I do a lot of work at my PC, then I'll often come home and switch straight to gluing my eyes to my iphone screen catching up on social media, before moving on to staring at my laptop screen to work on my blog. Combining that with generally feeling tired or a bit stressed and you can end up feeling the strain on your eyes and getting headaches too. 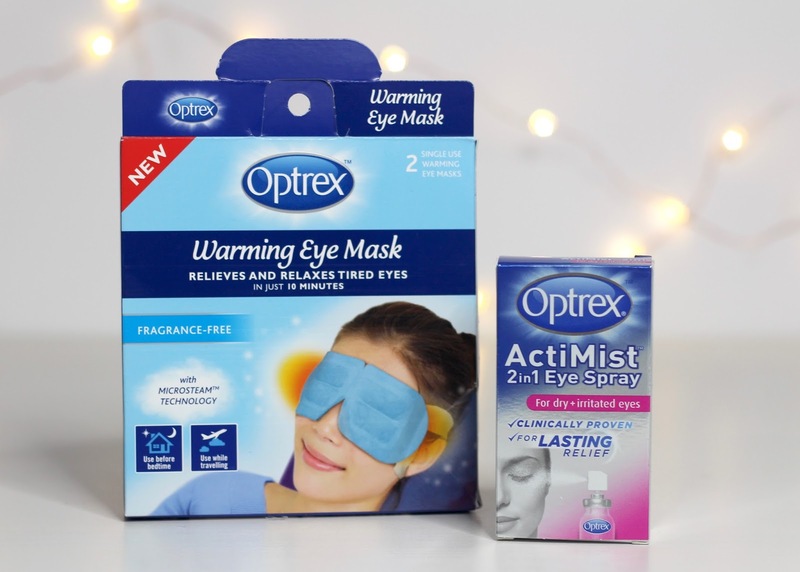 Optrex have a new mask that can help to relax and soothe tired eyes, and it works using some self-heating magic. 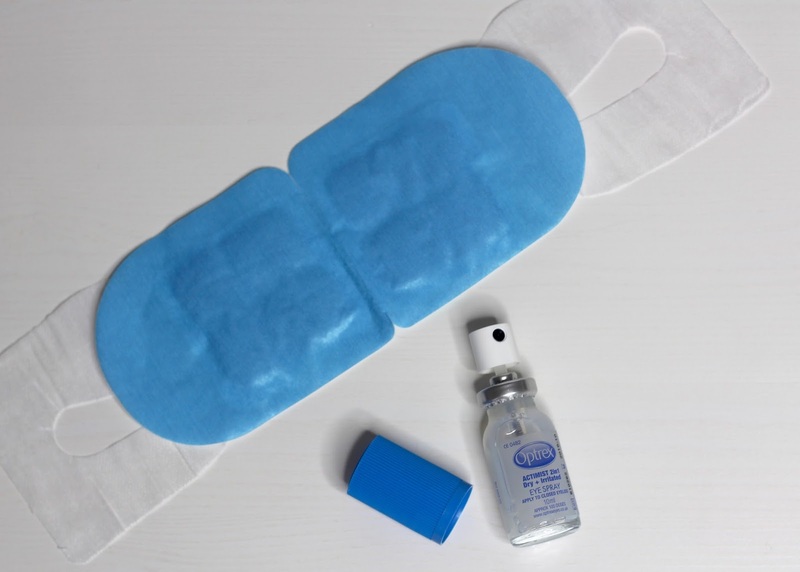 As soon as you open the packaging on an individual mask, the eye pads begin to heat up and all you need to do is pop the bands over your ears and take some time out to relax with your eyes closed, maybe with your favourite album playing in the background. The heat, although it sounds a bit strange, feels really comforting on the eyes and really helps me to wind down and chill out. If I can't spare the time for the mask, the Optrex eye spray for dry and irritated eyes can give an instant pick me up to refresh and sooth - just remember to spritz it with your eyes closed! Since a bad experience with semi-permanent lashes in the summer, falsies have been my friend, and I've actually become a lot better at applying them through more practise. I'll make a note to write up a post with my best tips soon. 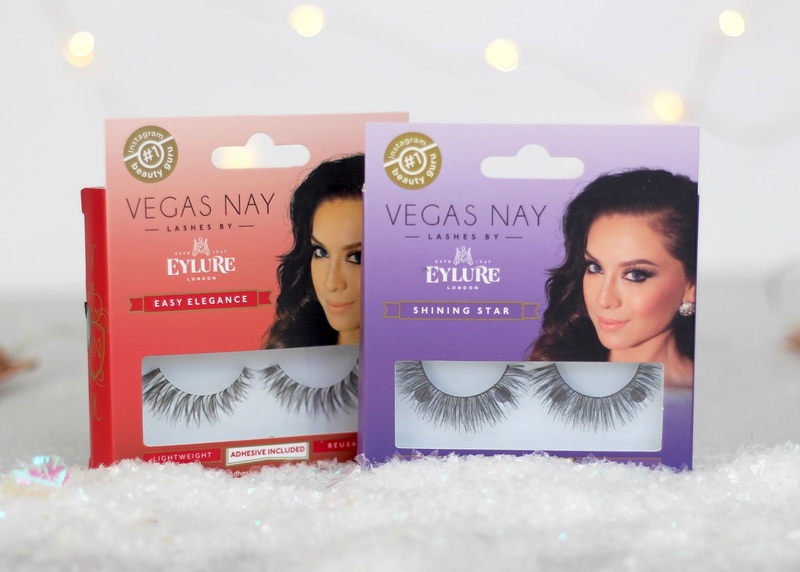 Most recently I've been trying out the Vegas Nay lash collab with Eyelure from falseeyelashes.co.uk and really like how light and fluttery these lashes are. 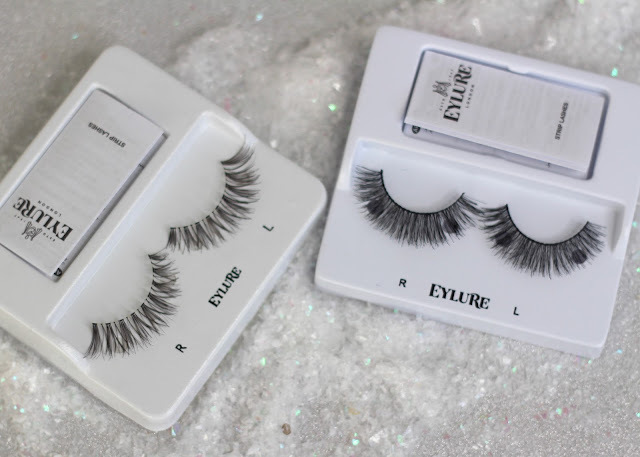 I have the Easy Elegance set, which I'd say are more of an every day, slightly more subtle lash but still beautifully long and full compared to my natural lashes! And also the Shining Star pair which are a fuller, bolder style for a bit more of a dramatic look. On me these did need trimming to a shorter length, but I find that's really easy to do with nail clippers (easier than scissors!) and the glue that comes with the kit is actually pretty good. The lashes last well in terms of being able to use them multiple times too, as long as you're careful about removing them. I think I'm a little late to the party here but am finally understanding the whole cushion makeup love after trying out this foundation and blush from Lancôme. The foundation formula in particular is so fluid and easy to work with - I find it best applied with your hands, and you literally just need to tap your fingers on the cushion to pick up colour. Despite the thin consistency the foundation is really pigmented and I find I get a good medium coverage. 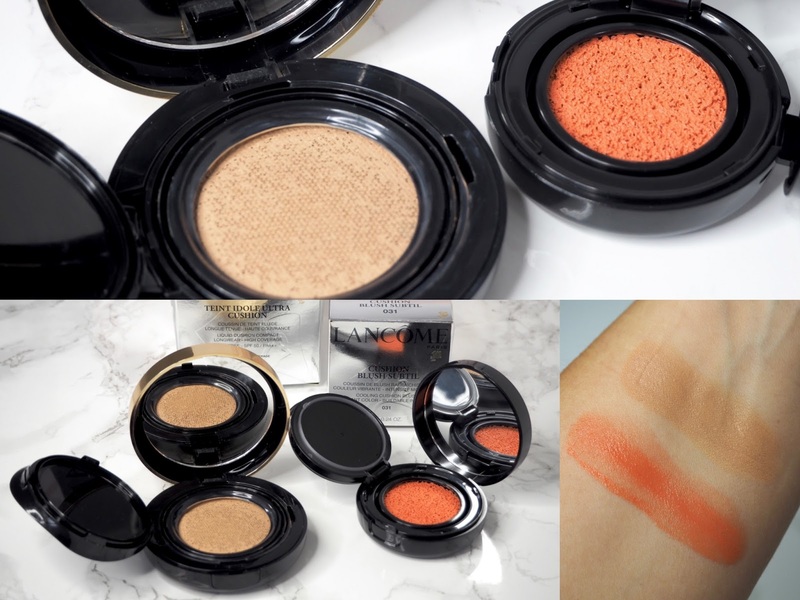 The blush works in a similar way and has an equally fluid and workable consistency - this orange shade isn't very me, but I'm really into the concept. I'm not so sure on the hygiene angle with these as you are touching the product directly each time you use it, but it's not something I get overly worried about - I'm sure you could argue similar germ concerns over lipsticks! Lastly I wanted to give a mention to a range that I've not yet tried but am about to, and it's kind of a big deal for me. 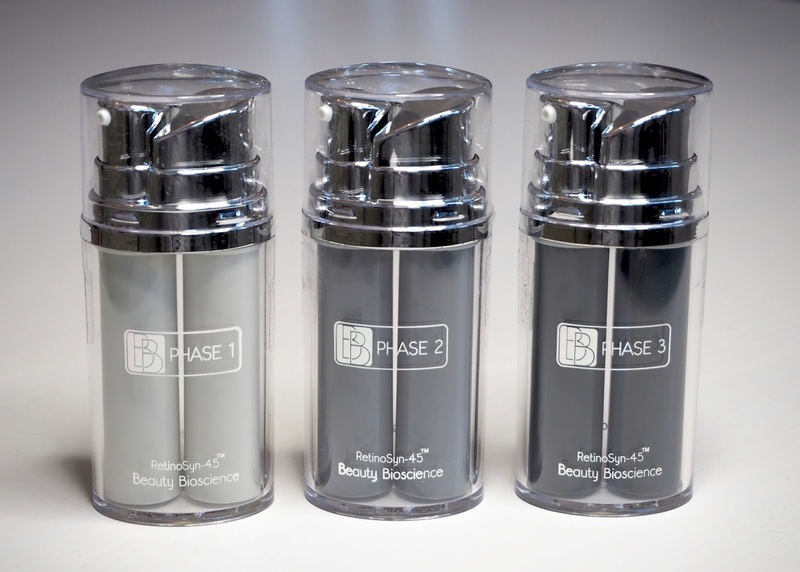 The Beauty Bioscience Retinosyn 45 system is a three step anti-ageing programme which you use exclusively on your skin every night for 45 days, and by exclusively I mean that you're not to use any other anti-ageing products and it could overload and irritate the skin. 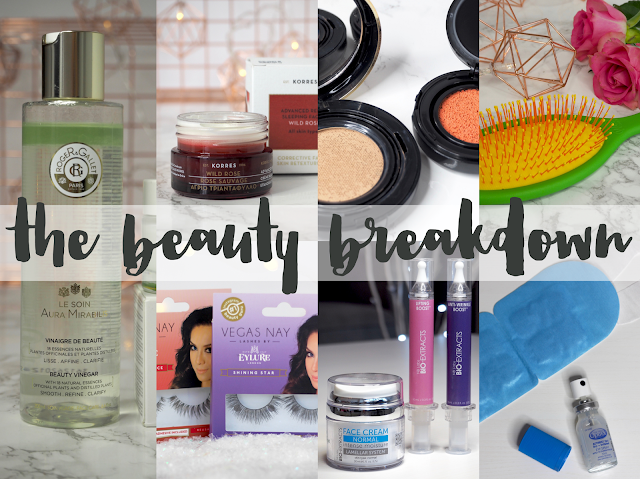 I'm trying not to over-think this, but I am slightly anxious about leaving behind some of my tried and tested, much loved products for a whole month and a half! However, the results that I've read you can get with this system in terms of improved skin texture and reduced lines and pores have swayed me to give it a try. I guess I'll be updating you on this one in the new year... that sounds weird! Next week on the blog, all things Christmas! I think I'm more excited than Buddy the Elf... Santa! - I know him!! !